This is continuation of my blog post "How to create a blog that works - complete step by step guide". Its first part was published earlier and you can read it here. In first part of my post we discussed all about technicalities and installations etc. now in this 2nd part its more of making your blog more professional and make it work with your own skills and hard work. So without wasting any time lets see how its done. Here is the rest part of contents table given below. Before he commented that the fact how well it works the mechanism of WordPress themes had been a key to its success. Another key as important or perhaps even more important have been the WordPress.org plugins. However, I summarize few components, small applications, which can extend WordPress.org as hell you want, which makes WordPress an extremely versatile tool. And this is precisely one of the biggest drawbacks of WordPress.com, since in this simplified version of WordPress plugins can not use. In addition, the repository of free WordPress plugins at this time and there are more than 30,000 (!) Plugins. You can say that for almost any need you can think of, sure there are one or more plugins. The downside is that they consume server resources and increase the chances of incidents for errors in plugins and incompatibilities between them. It is something exceptional, do not be afraid, but it can happen. Not surprisingly, it has coined the name "White screen of death" WordPress which can result in such incidents. Click here to watch video and learn how to do. If you have chosen to use WordPress.org, I highly recommend that you install the following minimum set of plugins from the Menu -> "Plugins -> Add New" admin panel WordPress. These plugins are not strictly necessary to run, but consider essential for the various reasons that I will comment on each. You will read many times not to install more than 10 or X plugins in WordPress because they consume resources and loads the blog. Forget, it is a false myth or rather a half-truth. It is true that plugins can consume resources, but how many, depends on each particular plugin. There are plugins resource-intensive, others who do not consume practically nothing and others who, for example, due to a fault, they can destroy the blog by themselves. Therefore, it is true, consume resources, but has no sense to speak of a specific maximum number because each plugin is different. One of the great problems of blogging is the comment spam. it becomes unmanageable when you achieve some visibility, because you will receive dozens of spam comments a day. 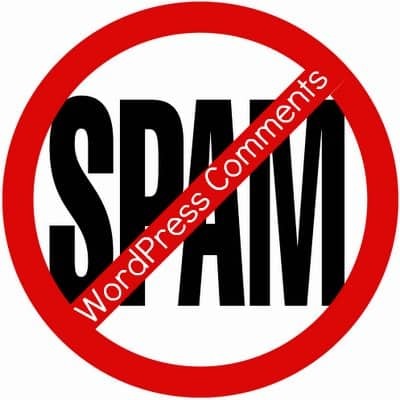 With the default installation of WordPress.org already it included the Akismet plugin but after using Akismet long time have now opted for the Anti-Spam plugin because it gives us better results. Extremely simple and effective, it does not even require configuration, install, activate and go. The power of having a WordPress blog with own hosting has a price: you have to take care of the installation of your blog yourself (unless you hire a hosting managed) and its proper maintenance, or delegate it to someone. Of all the maintenance and security, in my opinion, the most important is to create a proper backup configuration. A good supplier as Webempresa or Hostgator will backup on their own, your blog will become over time such a valuable asset that every precaution will seem less. 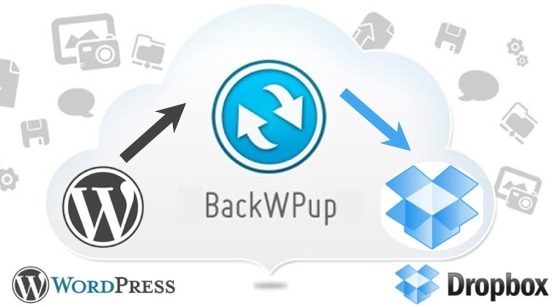 BackWPup plugin is the best I've found so far and is what I recommend. One of the things you need to know about WordPress, especially when hosting is hired, is that it is an application made in PHP code and using a MySQL database to store its contents. This makes the web pages of a WordPress blog are much heavier for the server "traditional" HTML web pages that are no more than simple files, very light for the server process. It is a serious problem because it limits much traffic a WordPress blog can support. Fortunately there is a trick that solves this problem: using a cache. Without going into great detail, I will simply say that the trick of the cache is to make a "snapshot" of each page of the blog making it a normal HTML page. If the content of the page changes, it is automatically recreate the "picture". Total: a cache is essential, first, to get a good user experience (the blog is quick) and, second, to hold the traffic when it begins to grow. click here to see video and learn how to do. Jetpack is a mega-plugin which I recommend you if you're starting out because it includes many useful features that are previously needed what other plugins don't have. More than 30 modules that can be individually enabled to be independent modules. Statistics: It is a module of basic statistics, but enough for day to day (visits, page views, traffic sources, etc.). It is very comfortable to be able to be viewed within WordPress, but yes: does not replace a web analytics tool like Google Analytics. Disclose / Share: This module adds a customizable toolbar social buttons to share content. A "hoot" is the functionality for automatic release of the new content. That is, that when you publish a new post is made automatically tweet, sharing on Facebook, Google+, etc. Contact Form: A contact page is simply essential. Thanks to this module is very easy to create the corresponding form (which will send an email with the content of the form to your email). Spelling and grammar: A small correction of spelling and grammar very useful. Omnisearch: A comprehensive search tool that searches for the terms you enter anywhere on the blog, posts, comments, descriptions plugins, etc. Photon: A free service for external Automatic image cache (the company behind WordPress) which are served from the CDN (Content Delivery Network) and not from your server, which significantly reduces bandwidth and prevents your hosting go too loose, improves speed. Monitor: This module monitors your blog falls and if your blog is down effectively, notifies you by email. There are more module but I'm not mentioning all of them here. One last comment on Jetpack: I strongly recommend that you do not use the module JetPack mail subscriptions, but a tool like MailChimp. Assistance SEO On Page: From a keyword or phrase, this plugin measures the quality of your SEO On Page. Which means, does things like, for example, check if the keyword appears in the relevant places (title, URL, text post, etc.) and accordingly assesses the degree of optimization and identifies the strengths and weaknesses for to review them. Automatic creation and sending sitemaps: This will help Google in the proper indexing of your site and will therefore be favorable to your web positioning. Allows you to set the "Google Authorship" It's what identifies you as author of your content against Google generates these photos of the author in search results we all know. Before we talk about how critical it is at first without creating your content, but actively disseminated. In this process, one of the most important things you'll learn is that you have to assume that the Internet user is not going out to do anything for you. In other words: it costs a lot to get a reader to take an action, even such a simple social action and at no cost for him to just clicking on the button. Therefore, I have to put it easier, comfortable and clear as possible. This is the main mission of social buttons, apart from also provide an element of social proof through the counters. If your theme does not have a keypad subscription, Metro Social Style Widget and similar plugins offer very good alternative to implement it on your blog. There are two basic types of bars or buttons: the subscription and sharing. Let's see what you have to consider in each case. Subscription bars are usually found in the blog header. They can also be found at the end of posts. As the name says, these bars want the user to click to follow you on the relevant social network or, where appropriate, via RSS or email. The button to share, as its name says, aims to put the social reader to share content on their social networks. For that its the most obvious possible and important that they are close to or embedded in the content. When you install WordPress you'll have the factory with an RSS feed. In theory you do not have to do anything more, except the dissemination activities already mentioned, so that your readers subscribe to your feed. However, it is recommended to use a service feeds like Feedburner or Feedblitz for several reasons: the feed output is more aesthetically pleasing to the reader, downloads your server, this type of feeds add useful statistics and in the case of Feedblitz can set a series elements like buttons to share that are integrated into the content of the feed. When a blogger is asked the typical question of "What is the thing you most regret in your blog?" The answer is usually that of "not having created my mailing list before". With this the important issue we're talking about now is clear. So do not make the mistake of not having your list created from the first day of the launch of your blog. Why is it so important to have a good mailing list to win more subscribers ? Because email is the best channel for contact with your readers and create a relationship with them.It is a medium in which you can employ a more personal tone and approach, making it easy to create a stronger and higher quality relationship with your reader. I highly recommend that you use a specialized service quality, for example, MailChimp or AWeber. It is best that all these tools, except AWeber have a free rate up to a limit of subscribers. Mailchimp, for example, allows up to 2,000 subscribers for free. Once your blog is running, when you start and have some traffic, it will begin to be important to monitor various aspects. This can be done with free tools. We do not go into the details on each tool because this would require another "mega-guide" for each, but will do a brief overview and give you references. The Google Webmaster Tools are a set of tools that can be used under a Google account once you have linked your blog. - List of keywords in Google searches that have brought traffic to your blog, the number of prints of each page (how many times has appeared in search results) and the rate of clicks on your pages. - List of all internal and external links to the site pages. - Detection of broken links. Google Analytics is a web analytics tool with which you can get very rich and interesting information about the performance of your blog or any other web site that, as in the previous case, analyzes how well or poorly is running your site, what are your strengths and weaknesses concrete, etc. Monitoring the health of your site (response times and falls), including email alerts in case of falls. A speed test that measures the load times of your pages. Create a professional blog and become a "top blogger"
At this point you already have a good infrastructure to start working. So now to finish this post I want to give some of the most important guidelines to create content, take your blog for a successful path and, if that is your intention, make money with it. If there is one important thing in your blog, that are the contents. First, ask yourself the idea that you have to provide quality content. At this point this phrase is already very view, but not lost any validity. Rather, it is increasingly evident because the supply of content continues to grow and the amount of waste either. Ask yourself the following question, why would a reader waste time with you if he has better alternatives? And of course, forget about copying, believe me does not work. NOT find your style and your original content or does not make sense to follow your project blog. Okay, you have the knowledge and ability to do so, but do not know exactly what is good content and how to create it. Excellent. We have reached a point where we began to glimpse the path for our content. To do this, first of all, I would recommend that in a first phase (the first 30-50 posts) plan not to excess your content. At this point it is much more practice and "find yourself", that is, to bring your theoretical idea into practice and contrast it with the reality of creation of content and the feedback from the public. Therefore, it makes no sense excessive planning. Obviously, this does not mean that chaos reigns, minimal planning are essential if you want to achieve a consistent line content. Make at least an outline of your main thematic lines and go thinking how to translate them into categories of WordPress, which I would recommend not exceeding maximum 8-10 categories. A blog too spread thematically is a problem. If you have implemented all of the above, or at least most, you've already come a long way, no doubt. Moreover, the pillars of your project are settled. But you still have to acquire skills (if not already have them, it can be, of course). These skills will, in my judgment, that really make the difference between a blog that is successful or not. Naturally I can not end this post without touching a vital issue for many bloggers, both those who are starting and they want professional guidance, as veterans who have created a blog as a simple activity hobby, but to the success of your project they wonder how they can monetize economically. Whatever formula you choose to monetize your blog, you'll pass your readers perform some action. Therefore, apart from the SEO and copywriting we saw earlier, another issue that should sooner learn to master is how to achieve good conversion rates. 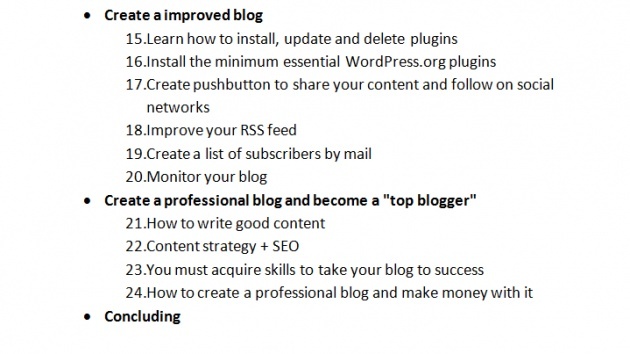 In this post-guide, which ultimately has practically become a mini-course of blogging and WordPress, you have all the information you need to create a blog with all important. 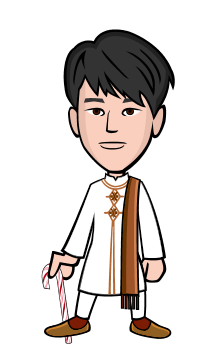 Do not get bogged down, a lot of work, true, but nothing you can not deal with a little organization, patience and working without haste, but without pause. But I assure you that if you follow the steps in this post and the post linked to delve into the details not just have a well mounted blog, you blog professionally. And to be ending I would like to insist that it is an essential objective of this guide that everyone with any level of knowledge, be able to create your blog without getting lost. I would absolutely nobody lost and while you know not only create the blog, but you get much beyond acquiring a vision and solid knowledge base on what comes next. This being so, I want to ask a favor: if you detect a fringe, upgradeable anything (there will be many), which consider worth commenting, please help me with your feedback in the comments. With this you will help me to perfect this guide each time a little more and both readers and I myself would be greatly appreciated. *smile*. I hope you guys like, thanks for reading. Take care, will see you soon with an other interesting and informative post for you till then GoodBye.!! !